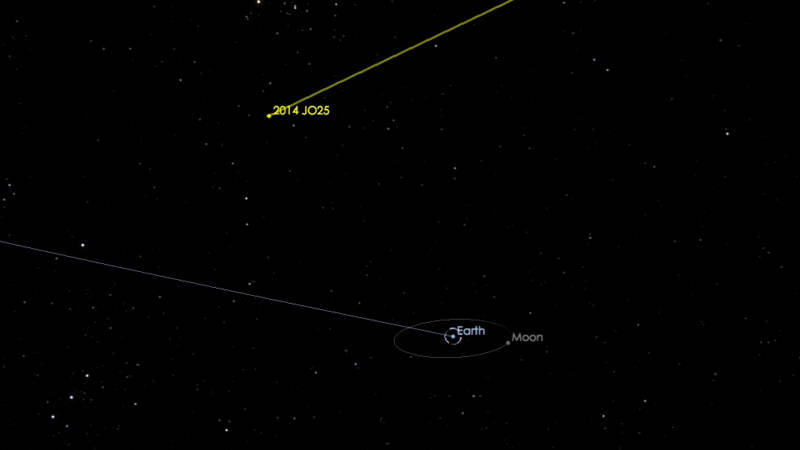 On April 19, a 2,000-foot-wide asteroid named 2014 JO25 will pass within 1.1 million miles of Earth. That's about four and a half times the distance between the Earth and the moon. It's a comfortable distance for a big space rock to fly by our planet—but like a black cat crossing our path, it may make many of us uneasy. Large objects have collided with the Earth in the past, and will again. The passage of 2014 JO25 isn't just a reminder that we should keep our eyes open when it comes to "Near Earth Objects." It is an opportunity for observers—institutional and amateur alike—to study it up close. NASA will be pinging it with radar and scanning it with telescopes to learn as much as possible, and even enthusiasts with small telescopes will have an opportunity to spot a faint dot moving swiftly through the constellation Coma Berenices, high in the southern sky. 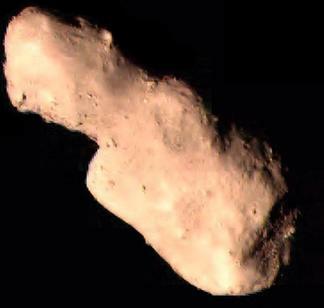 The asteroid will become visible to small telescopes on April 19, and should remain so for a day or two afterward. 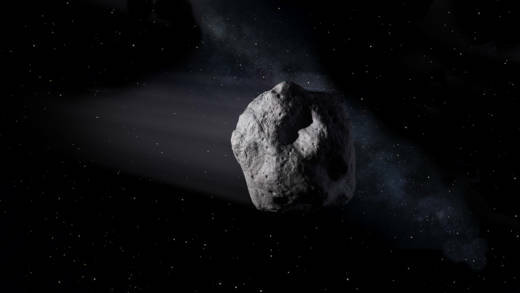 The asteroid was discovered in May 2014 by researchers from the Catalina Sky Survey in Arizona, part of NASA's Near-Earth Object (NEO) Observations Program, which seeks to find and track big rocks that come close to Earth's orbital path. Measurements made by NASA's WISE spacecraft have gleaned more details about the rock, such as its size and the fact that its surface is twice as reflective as the moon. Asteroid 2014 JO25 is not only a Near-Earth Object, but is classified as a potentially hazardous asteroid because it can cross Earth's orbit, making a collision possible. Because it's over a third of a mile across, the rock spells disaster for any region it hits. But no need to panic. Though the April 19 flyby will bring asteroid 2014 JO25 closer to Earth than it's been in 400 years, it won't be this close again for 500 years or more. But close encounters with space rocks happen more often than you think. Earth orbits the sun amidst a host of Near Earth Objects, many of which cross our orbit and are potential hazards. Since the beginning of this year, 13 asteroids are known to have passed inside of our moon's orbit, less than 240,000 miles from Earth—though none of these have been larger than 100 feet across. The next predicted passage of a large asteroid will be in 2027, when the half-mile-sized asteroid 1999 AN10 will make its closest flyby at 236,000 miles—roughly the distance from Earth to the moon. What Happens If an Asteroid Hits Earth? We don't need to speculate about what a major asteroid collision would do. Asteroids and comets have struck the Earth, in the distant past and in recent times. 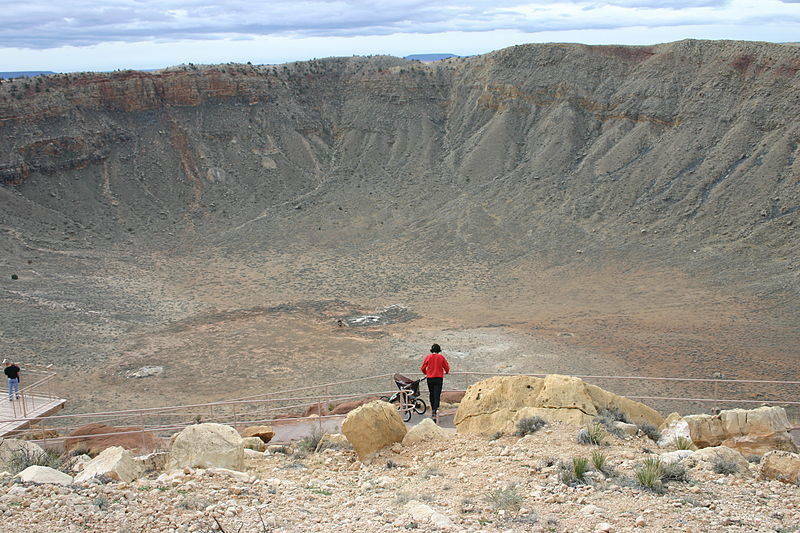 If you've visited the 50,000-year-old "Meteor Crater" near Winslow, Arizona, you've seen with your own eyes the impact scar a 160-foot asteroid can inflict: a crater three-quarters of a mile across and 600 feet deep! On average, an asteroid larger than 300 feet across strikes the Earth every 10,000 years. An impact of this size will devastate a local region, and can produce tsunamis that would wipe out coastal areas farther away. In 1908, a comet or asteroid estimated between 200 and 620 feet across exploded in the atmosphere over Siberia, near the Stony Tunguska River. The aerial explosion flattened 770 square miles of forest (an area the size of Alameda County) and produced shock waves that were detected by seismographs in England. 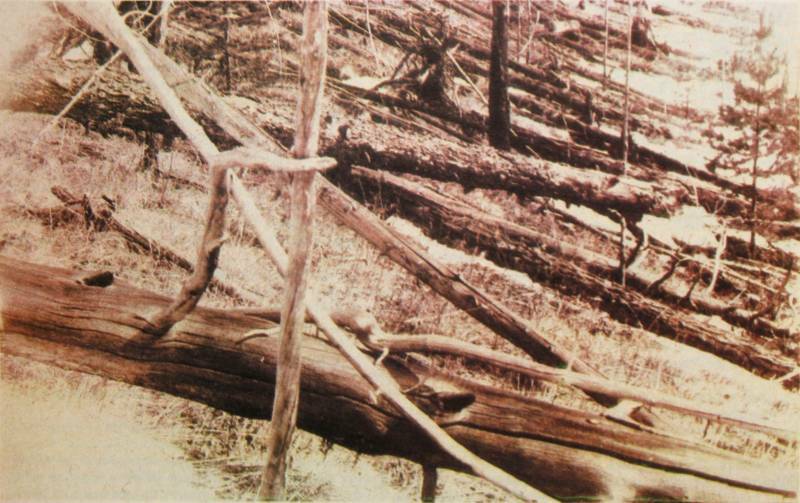 It was fortunate that the Tunguska event occurred in a sparsely populated area. More recently, in 2013 a 60-foot object exploded over Chelyabinsk, Russia, producing a burst of light as bright as the sun and an atmospheric shock wave that leveled some buildings and broke windows over a wide area. Every several hundred thousand years a bigger object, half a mile across or larger, collides with the Earth, causing devastation of global proportions. Material is blasted into the atmosphere around the planet, choking off sunlight, producing acid rains, and even sparking firestorms by the intense heat of material reentering the atmosphere. Several ancient impact craters—also called "astroblemes", or "star wounds"—attest to these past collisions. The asteroid implicated in the extinction of the dinosaurs 65 million years ago was six miles across. 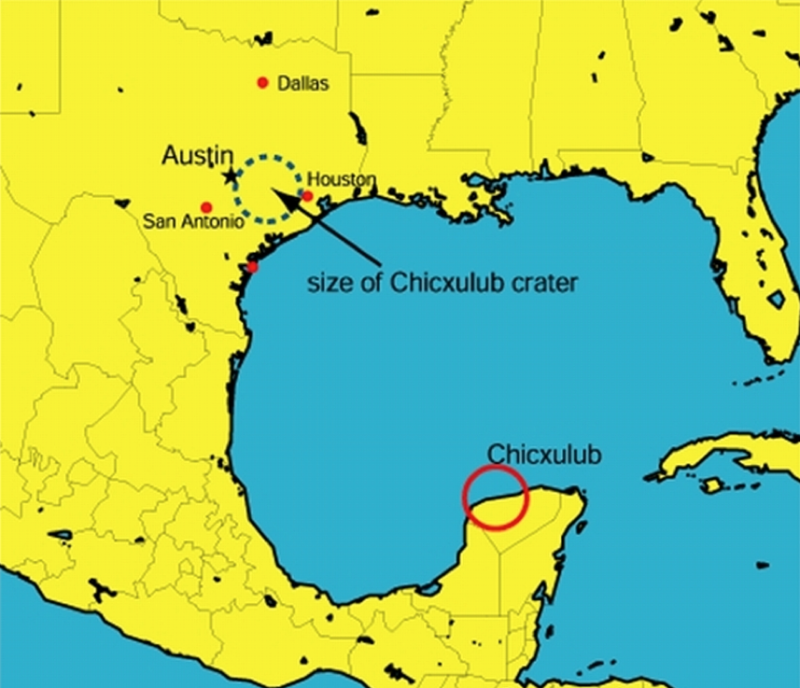 The "astrobleme" it left behind is a hundred miles wide, though barely discernible today under forest and sea-floor sediments spanning the northern Yucatan Peninsula coastline. Impacts of this size happen on average every hundred million years. Today, for the first time in the history of our planet, our ability to detect asteroids and predict future impact probabilities makes it possible for us to do something to prevent a disaster. Through efforts like NASA's Near-Earth Object Observations Program, scientists have identified and plotted the orbital trajectories of all NEOs of "planet-killer" size—and the good news is that none of these are projected to hit us into the foreseeable future. As for the smaller asteroids, which are far more numerous and much more difficult to detect, observers acquire more information every time one appears and whizzes by our planet—sometimes with only hours of warning. But we're learning more about them all the time.